1.2 What do I need to consider? 1.3 How do I get one? 1.4 Where do I learn more? 3.2 What do I need to consider? 3.3 How do I get one? 3.4 Where do I learn more? 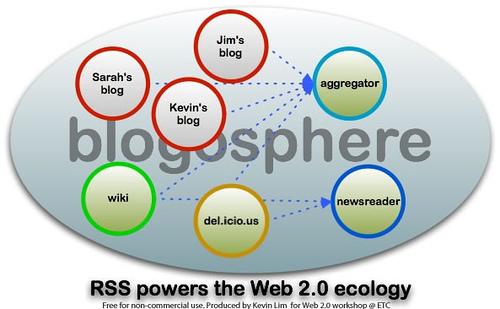 content management systems - bringing in content from other sources via feeds. The EIESL Project Service-learning project site - Post driven - pages provide project info. Is it easy to determine what the site is about? What helps me? What approaches does the author use to engage my attention? Graphics? Design? Post Titles? What steps has the author taken to assist navigation? What are the main categories/tags used on posts to keep them organized? Can I find this easily? What steps has the author taken to build community around this site? Comments? Networking? Can I easily find recent discussion on the blog? What elements do I like? Take 5 minutes to BEGIN to think about your site - you will likely come back to this process later. Identify any questions that arise. Debrief with the group. What did you discover in the process of thinking about your site? What questions do you have? Building the Ultimate Website may be more info than you need but will if you ignore some stuff and pay attention to the basics - it will be worth the watch. Login to blogs with your CWL and set up your account. You can start a blog right away or wait until later. Complete the self guided activity for beginners. Is it easy to determine what the page(s) is about? What helps me? Are the pages readable/ interesting? Can I easily find what I am looking for (through a table of contents or description)? Am I invited to contribute? Is it easy to see how I might contribute? Take 5 minutes to BEGIN to think about your wiki page(s) - you will likely come back to this process later. Debrief with the group. What did you discover in the process of thinking about your wiki page? What questions do you have? Login to UBCWiki with your CWL and set up your account. Add this wiki to your watchlist. Articles in the root of the wiki do not belong to any specific owner; any user should be encouraged to edit any main space page. Namespaces, however, imply a soft ownership of pages: while anyone can still edit these pages, the idea is that pages in these spaces do belong to someone and outside editing should kept to a minimum. This is more of a philosophical than a structural ownership but I think this idea will be important if the wiki user base continues to grow. This page was last edited on 14 October 2010, at 18:11.